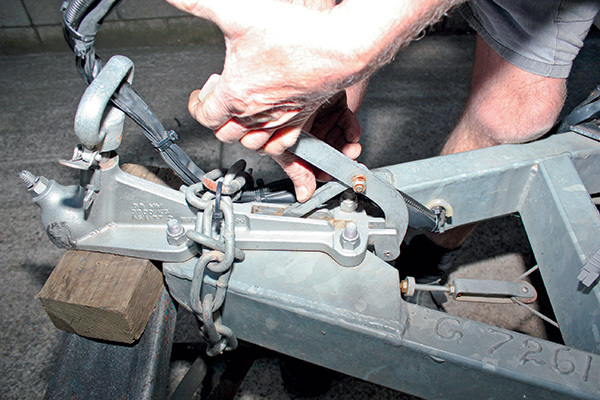 You might think that a caravan handbrake is similar to that on your towing vehicle. It is, but it’s what is missing on a caravan compared to a vehicle that makes holding a caravan in position when unhitched a very different proposition to a vehicle. When you put on the handbrake in an automatic transmission vehicle, you also put the transmission in park (and if it’s a manual vehicle, in gear). Often you’ll find that the handbrake, if adjusted properly, will hold the vehicle without even needing the transmission to assist (although clearly you use every safety mechanism available to you; so putting a manual transmission in gear or an automatic in park, as well as pointing the front wheels against the gutter, are all sensible precautions). Caravans don’t have gears or wheels that turn into the gutter to assist holding them on a hill; the park brake does it all when the van is decoupled. 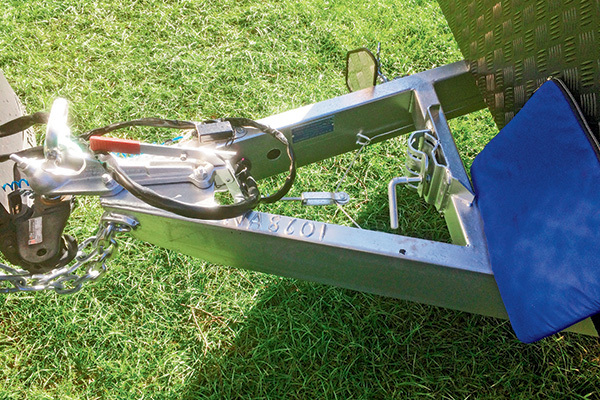 Trailer brakes are required on any trailer weighing more than 750kg, so almost all caravans will have some kind of braking mechanism, and the most common one is of course the electric drum-brake arrangement. A mechanical park brake, activated via a lever and pin on the A-frame coupling, typically augments the electrically activated system for drum brakes. In the electric trailer brake scenario, if you apply the brakes on the tow vehicle the electrical current that is consequently flowing to the trailer’s drum brakes energises a magnet, which applies pressure to levers that in turn exerts pressure on the brake shoes. The cable-operated handbrake for electric brakes is much simpler again. This lever and cable design activates when the operator applies pressure to the brake shoes by pulling the handbrake lever at the coupling assembly, which pivots and levers forward an adjustable pulley that tensions a cable threaded through the pulley (the earlier, simpler method used was a hook in place of the pulley wheel mechanism). The cable attaches at each end to a pivot point at the brake drum, mechanically exerting pressure on the brake shoes as the cable is tensioned. This design is very similar to the cable-operated foot-brake system of cars that endured until the 1950s. If you have driven such a vehicle you will never forget the experience. They were often terribly weak brakes, as the pressure exerted on the friction surfaces of the brakes was simply insufficient. The same problem occurs with cable-operated park brakes; while cheap and simple, they are not brakes you can rely on when parking or when manoeuvring your van on the jockey wheel. Part of the problem centres on the lack of leverage at the handbrake itself. Ratchet-type handbrakes are better in this regard. They are common with offroad couplings and with European vans, and – if the cable is well adjusted – their better leverage means that you can pull on the handbrake more firmly than the standard lever and pin arrangement. That is, you can exert more leverage and consequently apply more pressure to the brake friction surfaces. This handbrake has the bonus of an easy, push-button release mechanism. Simply put, they are just like a typical floor-mounted vehicle handbrake lever. Handbrake leverage might be the weakest link in the chain, but it isn’t the only one. The wire cable will stretch and slacken and so needs regular adjustment to be effective as possible and needs to be checked for fraying – which if identified means the cable should be replaced as soon as possible. The upshot of all this is that you can’t rely on the standard handbrake to stop your van if manoeuvring it on the jockey wheel, even on relatively level ground. The bigger they are, the harder they roll, too. If you’ve ever manoeuvred a loaded box trailer around, you’ll appreciate the forces involved in the typically much, much heavier caravan. A 2000kg-plus tandem is going to gain momentum much more quickly than a 400kg loaded box trailer and will need a lot of brake pressure to stop it. One way of ensuring you have control of you van’s movement is to use a ratchet-type jockey wheel. The benefit of this type is that you don’t need to muscle the van to either get it moving – or to stop it. The downsides are that if you’re overly ambitious with the degree of incline you want to manoeuvre in, operating the ratchet will be hard work, and it’s quite slow, too. The next step up is a 12V powered jockey wheel. This might be the ultimate way of moving your van unaided by the towing vehicle but for the time required to set-up the device and the purchase cost involved, you’d have to be sure you need such an aid. The simplest precaution you can take is to take a wheel chock or two on your travels and plonk them on the low side of the wheels and before you release the van from the vehicle think about keeping to relatively level terrain. 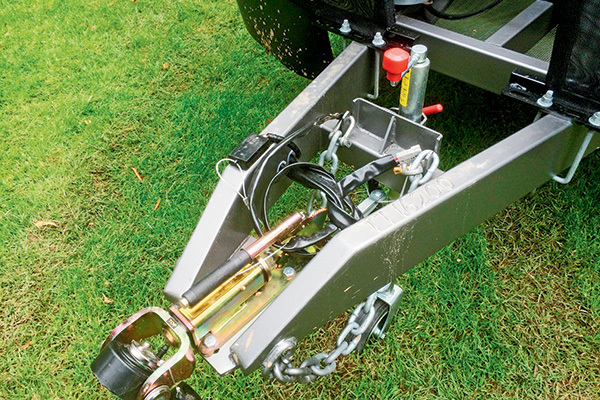 As a secondary precaution, undo the shackles attaching the chains after you’ve raised the caravan off the towball. If the van is going to want to do a runner, the chains will stop it from doing so.